The golden Trinity knot is delightfully displayed at the root of the Tree of Life silver earrings. 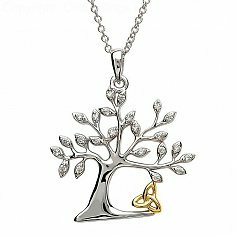 Each leaf sparkles with small cubic zirconias. 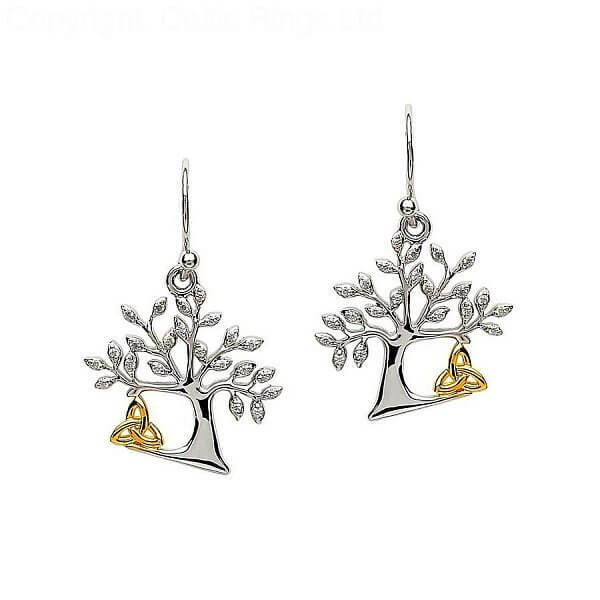 These earrings have a matching pendant for those who like to accessorize. They are, however, just as adorable on thier own.